Welcome back to the Creative People in Florence Spotlight series. 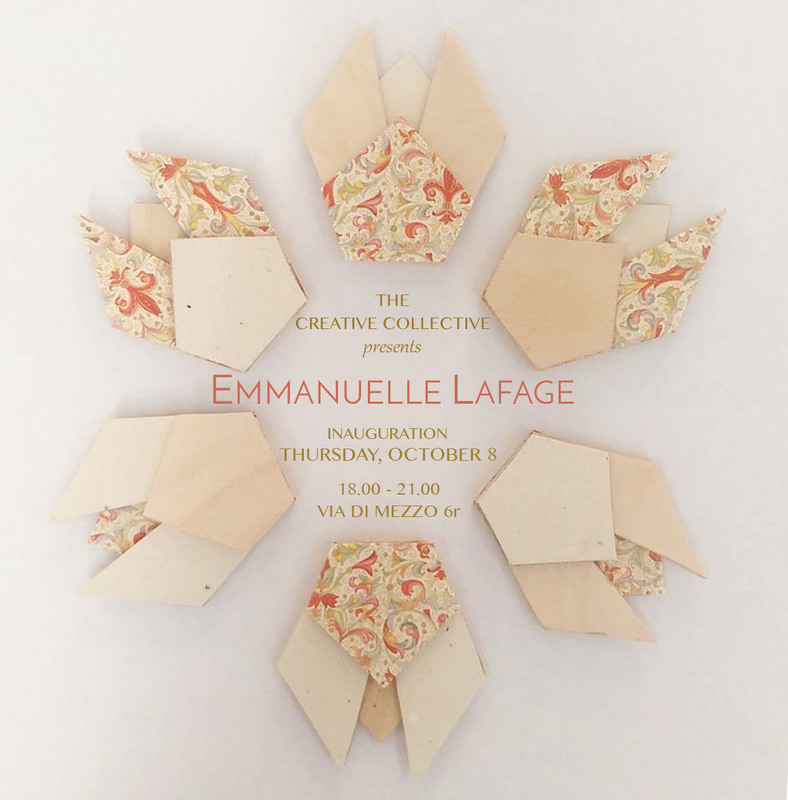 For this interview we will be talking to Emmanuelle Lafage who is currently exhibiting her work at The Creative Collective, by Creative People in Florence. Emmanuelle Lafage is half French and half Filipina, she grew up in many different countries in Asia during her childhood. She was fortunate to be exposed to many cities, both traditional and modern, which influence the design in her work. With all this moving she was always keen on decorating her own room, adding objects from the particular city where she was living, bringing souvenirs from the last one, and collecting objects for the purpose of making her room feel like home. With this passion she wanted to learn about home decor and one day become a professional. For this reason, she moved to Florence, a city rich in art and design and began studying and creating her new collection of work. 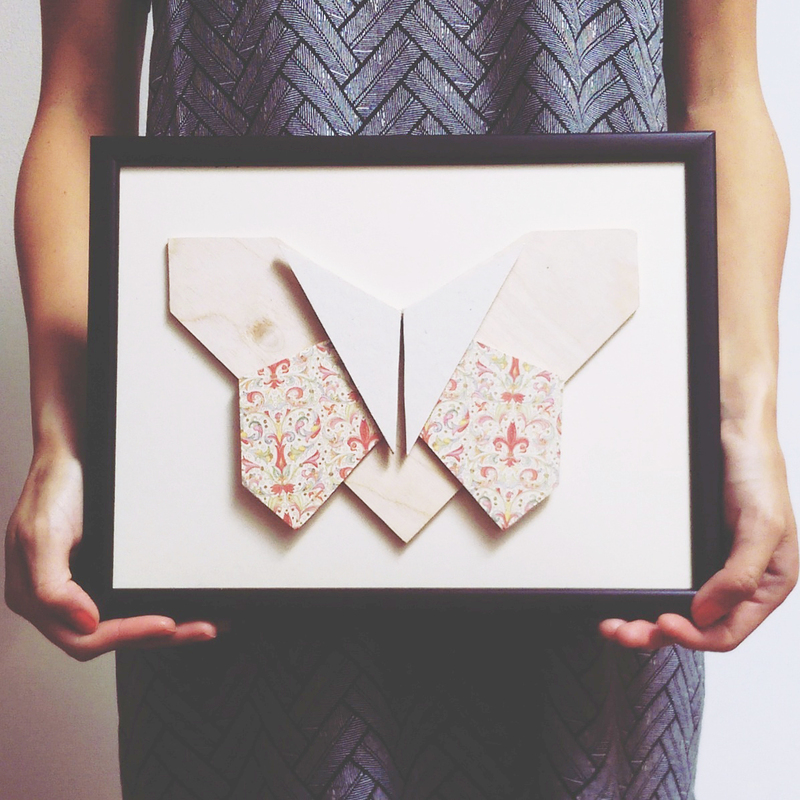 Emmanuelle has recently started to create her own brand of home decoration called Mokukami meaning wood and paper in Japanese. 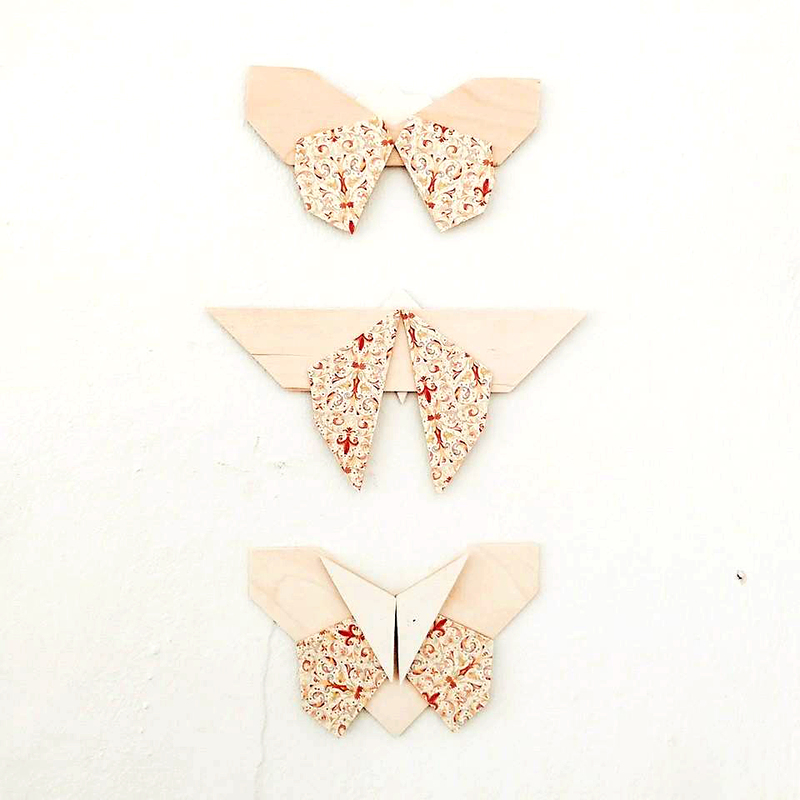 This brand focuses on handmade home decor items, and the materials used are wood and patterned paper, thus the name. She is inspired by simplicity and geometric form but adds the patterned paper to create a more vibrant feeling. We hope that you will join us this evening to celebrate Emmanuelle’s new collection at The Creative Collective on Via di Mezzo 6r. The work will be on display through November 8th. CPiF: How would you describe your relationship with Florence? EL: Florence gave me confidence in my creative work, I learned and grew so much from the city and from the local artists. I came to study design and little did I know I learned not just from the school but also from the city itself. CPiF: Which aspect of your work gives you the most satisfaction?EL: When I am working with the materials seeing how I can transform a simple piece of wood to a sculpture from my bare hands. CPiF: How do you begin a piece? Tell us about how a piece takes shape. EL: I always start with a random inspiration or an idea, from there I do a very quick paper sculpture and make different variations. Then I go buy the materials, head to the studio and work. CPiF: Where do you create your pieces? Do you have a studio or a dedicated area in your home? EL: I work as an assistant at La Serra MK Textile Studio next to San Marco, and the owners Margherita and Karl were so kind to let me use their studio for my own work. But I work with tools that make lot of noise, such as a saw and an electronic rotary tool, in order not to disturb the other artists I work in the kitchen area. CPiF: Do you have a favorite spot in Florence where you like to go for inspiration or to think up your next piece? EL: The city itself is full of art and inspiration, just walking around, getting lost, discovering studios, shops, art shows even in restaurants I can find an inspiration. CPiF: How important is collaboration with other artists and creative people? What do you look for in a potential creative collaborator? EL: For me it is very important, even thought I have my own specific style and my own selection of materials I love to see what other artists and creative people will make because they will have their own interpretation. I look forward to do collaborations and see their own artistic twist and signature on a potential project. And vice versa I would also love to participate with other artists or creative people and bring my own signature to the table. CPiF: How has your heritage, diverse cultural experiences and your various homes affected your work? EL: My heritage and diverse cultural experiences definitely affected my work a lot, personally I don’t define myself from just one country. In my family it was a mix of French and Philippine culture, plus as a child I moved a lot, from Singapore to Japan to China to Italy so I discovered many traditional art form. It may seem a bit chaotic but I found an harmony in mixing all those heritage and cultural experiences, and I will continue to mix different tradition through my work. CPiF: Are there any other plans or projects coming up that you want to share with the group? EL: For the future I would like to make functional home decor objects, maybe table lamps for the next project.